The essential security tool for traveling is on sale! We’ve got the tool you need when you’re on the road this holiday season and all year long! Stay safe when using public WiFi ‘hotspot’ networks and access your favorite content from your PC with no regional restrictions when you use avast! SecureLine VPN. avast! SecureLine secures your data and computer from intrusive hackers when using public WiFi hotspots at airports, cafes, libraries and hotels. Your public WiFi communications are encrypted, which means that someone snooping on you will see a bunch of gibberish instead of your email, files, passwords, etc. Your browsing is anonymous because avast! 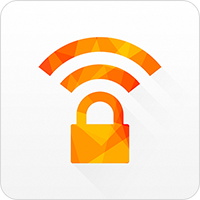 SecureLine VPN cloaks your IP address to keep your private searches private. When you travel and need web access from different locations, you may find some sites blocked. Now you can use servers located in multiple countries (e.g. UK, USA, etc.) to access Geo-blocked websites like Netflix or Pandora. You have until the end of the year to take advantage of 33% off a 1 year license for avast! SecureLine. Get it now! Get avast! SecureLine VPN here.